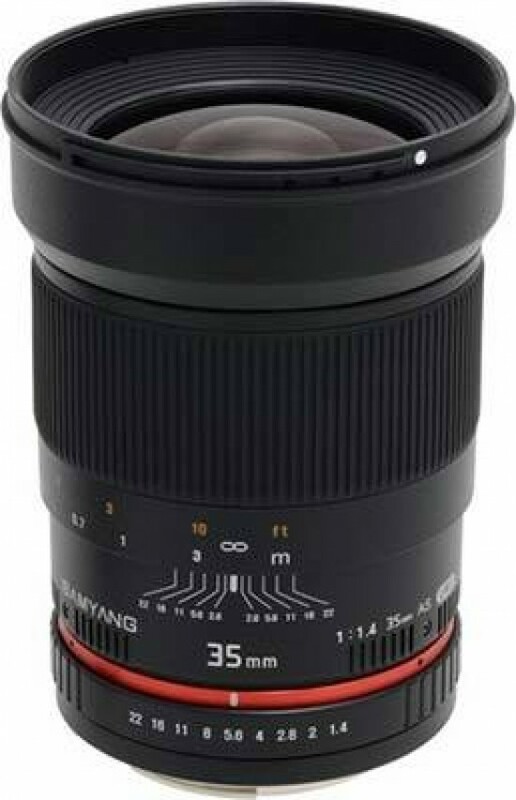 At around a third of the price of the Canon and Nikon alternatives, the Samyang 35mm f/1.4 ED AS UMC is an affordable and most importantly excellent quality alternative to the OEM offerings, that's if you can live with the lack of auto-focusing and on the Canon version the transfer of metering information. The Samyang 35mm f/1.4 ED AS UMC's build quality is reassuringly good, and although quite big and bulky, it makes an ideal partner to a full-frame like the Canon EOS 5D Mark III that we tested it with. Focusing manually is straight-forward thanks to the responsive focusing ring and useful hyperfocal distance scale, with Live View mode proving essential for closer focusing distances. Regular auto-focus users will undoubtedly miss the convenience of modern AF system, though not perhaps for as long or as much as they might envisage, whilst video shooters will positively embrace the de-clicked aperture version of this lens. Image quality is generally excellent from this Samyang lens . Chromatic aberrations are very well controlled, geometric distortion is impressively low for a wide-angle lens (unless you are focusing very close), and the coatings successfully prevent contrast loss attributable to flare. The only real optical issues are obvious corner shading at the maximum aperture, something that every full-frame shooter has to put up with especially when using wide angles, and a lack of sharpness wide-open at f/1.4 and f/2.0 and stopped-down at f/22. If you don't mind the lack of auto-focusing or big-brand name, we can heartily recommend the Samyang 35mm f/1.4 ED AS UMC as a fantastic and affordable ultra-wide prime lens for full-frame DSLR owners (Buy it from Samyang UK).